Too all linguists, I apologize in advance for the double negative in the title. But, when thinking about things you would miss out on, it’s easier to talk about them this way. 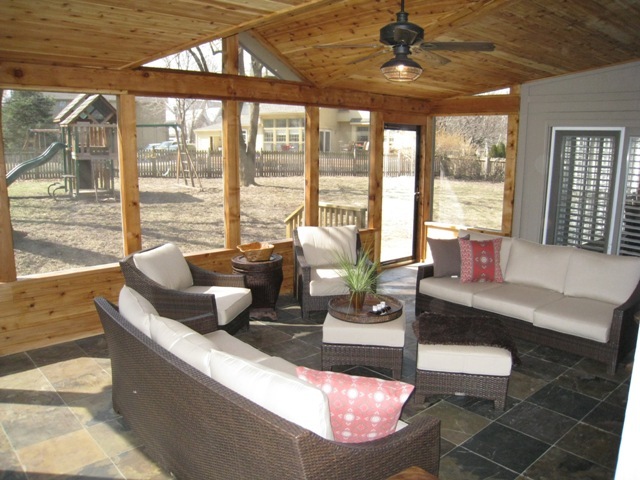 Many people might think of a sunroom as a room you enjoy in the milder months of the year. We think about enjoying the sunrise and sunsets of longer days at winter travels into spring. We think about looking out the windows and watching the green trees change their color during fall. But how often do we imagine spending wonderful winter moments in our sunroom? Perhaps it’s because the name of the room that we imagine using the room to enjoy the sun. 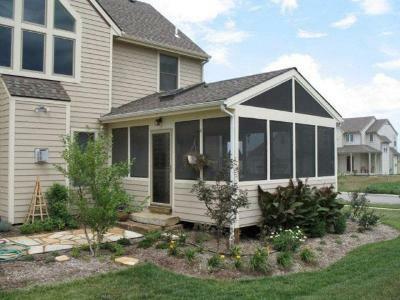 But, sunrooms are also popularly called 3-season rooms and 4-season rooms. A 4-season room will have insulation and heating so that it can be used throughout the year. 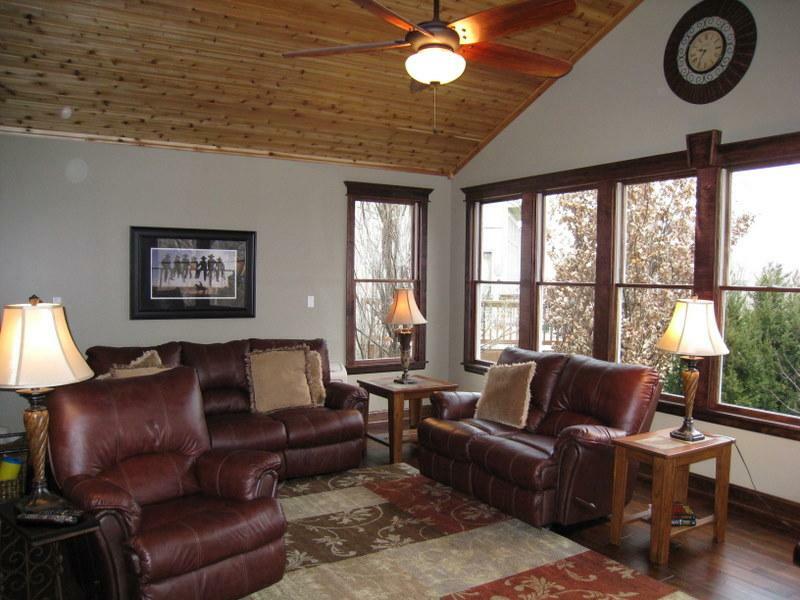 A 4-season room is essentially a room addition to your home. Everything from the roof style to gutter style as well as interior details ranging from color to materials will be matched to fit your home. We always build to make the rooms look original to the home. Winter moments in your sunroom. With a limited view of the outside from many of the rooms in our homes, we often don’t think of all of the things we could do if we could enjoy a full view of the yard whether day, night, hot or cold. Many romantic and timeless memories could be made and shared if you had a sunroom/4-season room to enjoy throughout the colder months. 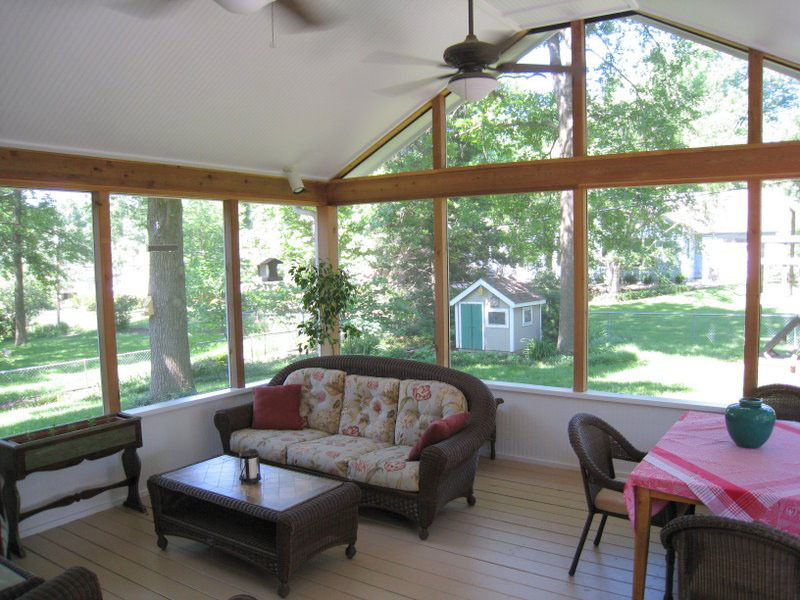 Consider adding a new sunroom to your home to enjoy the winter moments as well as those in the fall, winter, and early spring. Give us a call to discuss for a free consultation. We welcome and look forward to the opportunity to speak with you about adding a 4-season room to your home. (913) 851 – 3325 or send us an email at kansascity@archadeck.net. This entry was posted in Four-season rooms, Room additions, Sunrooms, three season rooms and tagged Archadeck KC, Archadeck of Kansas City, four season rooms, Sunrooms, Sunrooms Kansas City, three season rooms on August 24, 2011 by archadeckkansascity. 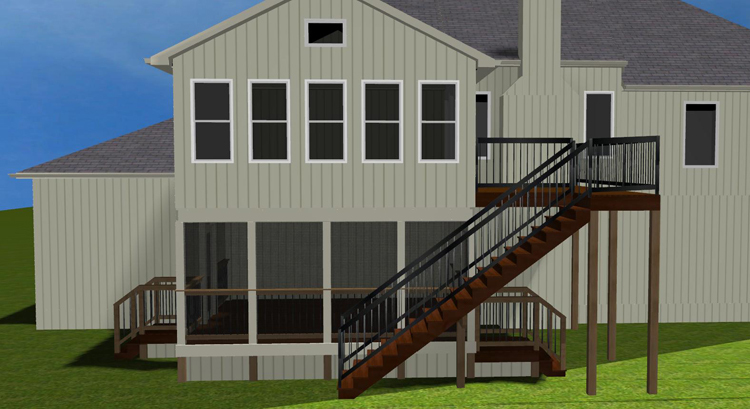 Many customers ask me if the fall is a good time to build their new porch or sunroom and here’s what I tell them. The fall is actually a really good time to build for these reasons. Less Competition – You’ve planned and saved. You’ve looked at pictures and have a list or ideas of the specific features you want. It’s mid Spring and you’re looking forward to enjoying your new room all summer long. Here’s the problem. Everyone else wants the same thing. Although we work really hard to build all of our projects in the timeliest manner humanly possible, there is simply more on our to-build list in the Spring and Summer than there is in the fall. Good reputable builders get swamped in the springtime so builders that are doing top quality work are going to have a waiting list in the springtime. In fact, if you have selected a builder in mid Spring to build your new sunroom and he says he can start tomorrow, be very wary. Months of missing out – Here in Kansas City, we traditionally have very nice weather throughout the fall and even early spring. 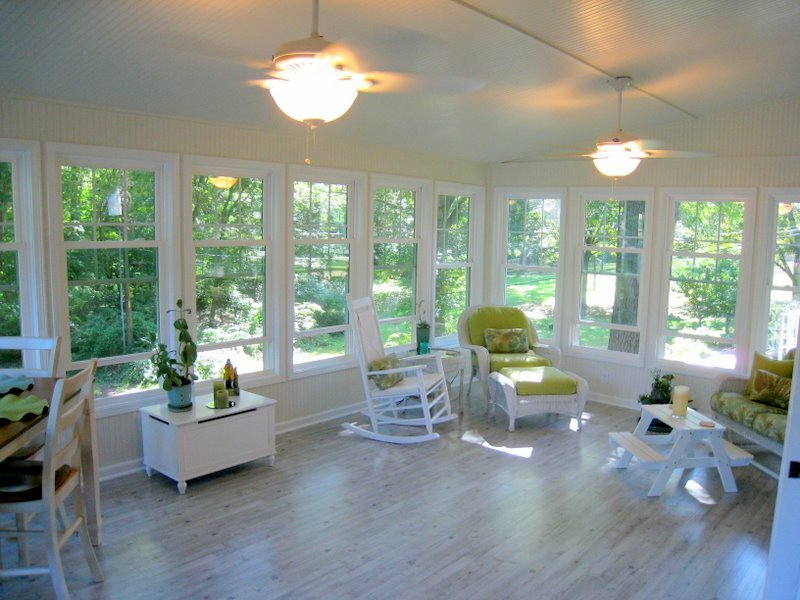 If you are having a sunroom built, you can enjoy that throughout the entire summer. You can be putting off enjoying your new outdoor room for more than a half year by waiting until Spring. 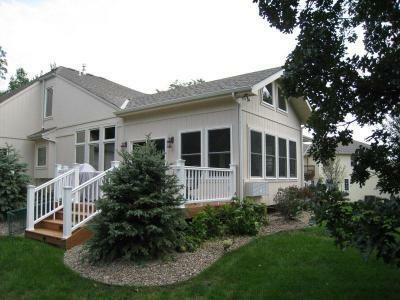 Permits take longer – All additions require permits. This is something that any reputable builder will do for you. But, just like builders are swamped in the Spring and Summer, the folks in the permitting offices are swamped also. This adds even more time that you have to wait for your new room to be built. You may pay more next Spring – Just as all prices go up at different times throughout the year, prices for materials go up as well. Often times, building supply companies will announce their new price list at the first of the year. So, you could be paying a couple to a few more percentage points for waiting until after the first of the year. You won’t ruin your landscaping – spring is the wettest season of the year and it’s the hardest to work around for yard and landscaping damage so it’s easiest to avoid some of the grass damage when it’s soggy. When you have it dry, it doesn’t pose as many problems. The wetter it is, the harder it is to keep your grass in good shape. If you know you’re going to build a new room on your house but building in the Fall just won’t work with your schedule or budget, still go ahead and call in the fall or winter. When we get ready to build in the Spring, our booked projects get built first. It’s on a first-come, first serve basis. One of the best things to do is plan, design, and contract your new room in the fall or winter. 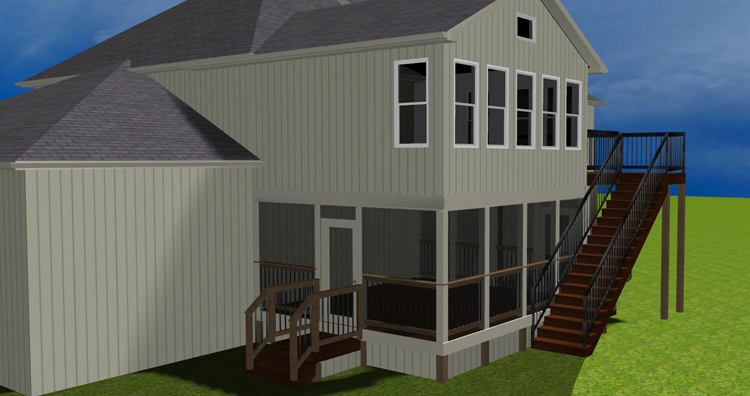 It will allow you to split up your budget and make sure you are first on the books to be built after the new year. Don’t wait. 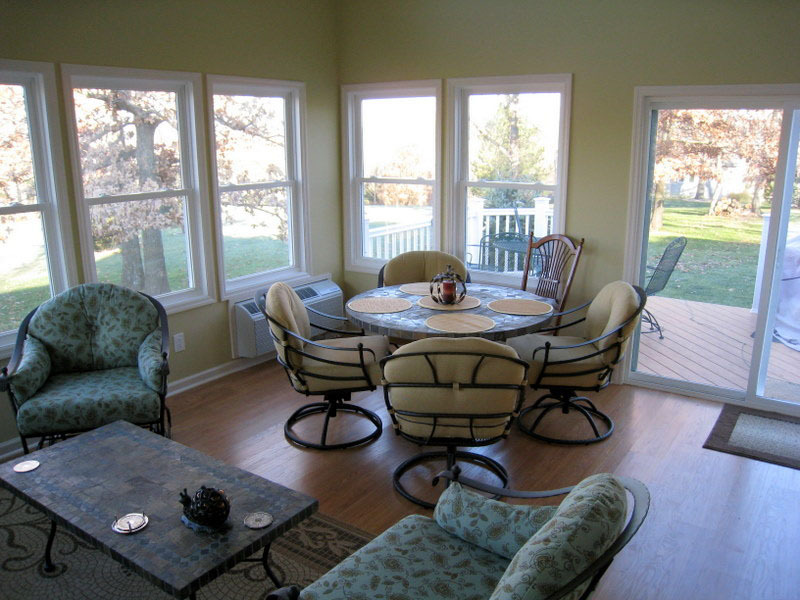 Give us a call now to discuss building your room addition whether it be a porch or sunroom. 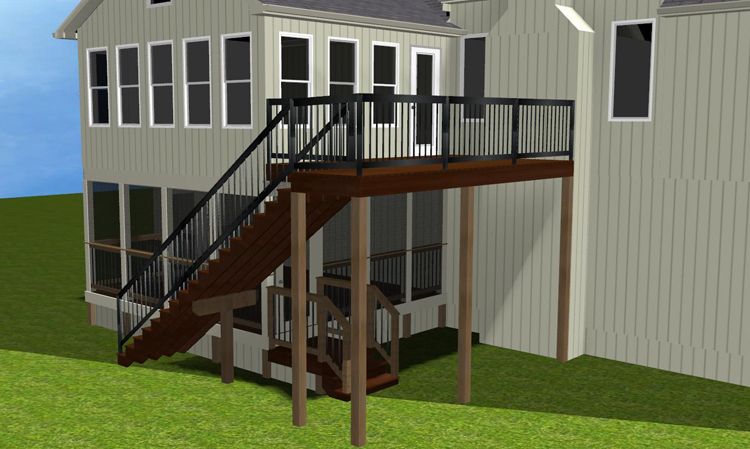 (913) 851 – 3325 or email us at kansascity@archadeck.net. This entry was posted in Covered porch, Open porch, porches, Screen Porches, Screened porch, Sunrooms, three season rooms and tagged Porches Kansas City, Screen Rooms Kansas City, Sunrooms Kansas City on August 23, 2011 by archadeckkansascity.